A few years back, we had an idea, a theory. What would happen if a group of businesses could get together and combine their content and social media resources to reach more people? If a group of businesses all uploaded content to a central location, would they reach more people than they could working alone. 100% Yes. If a groups of businesses get together and truly work for the benefit of the greater good, they will reach SIGNIFICANTLY more people than they can with just a solo strategy. 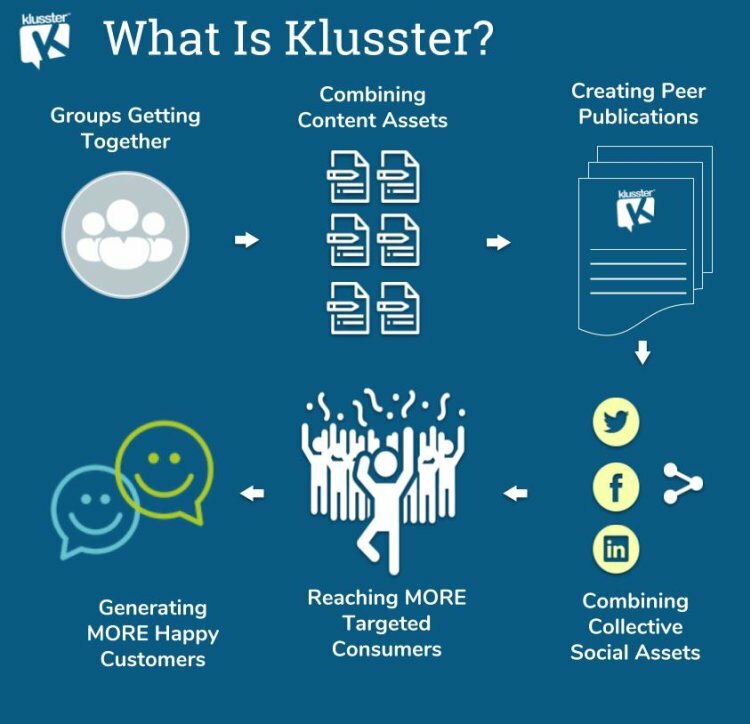 Klusster is an all-in-one cooperative marketing, influencer marketing, inbound marketing, social media marketing and SEO marketing tool. And we can't wait to show you. Please Socially Share This Invite! 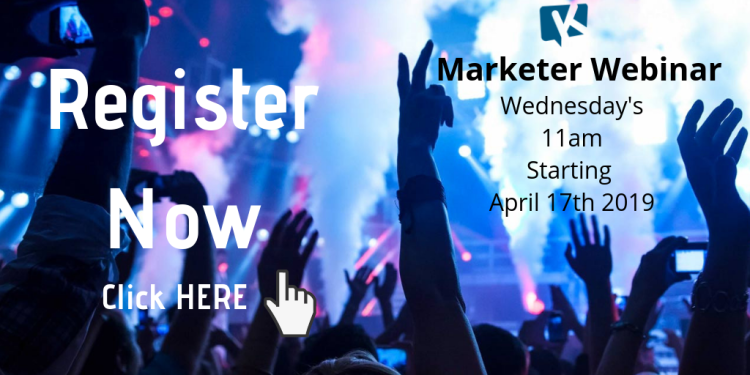 If you have any questions, prior to participating in our marketer webinars, please don't hesitate to reach out.